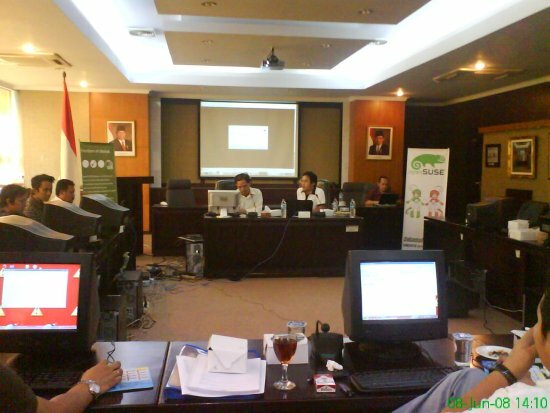 Last week, me and 2 Indonesian openSUSE members : Bonnie Kurniawan & M Herry Nurdin holds a training session at Grha Pemuda & Olah Raga (Youth Fellow & Sports Building), State Ministry for Youth Affairs and Sports of the Republic of Indonesia, Senayan, Jakarta. 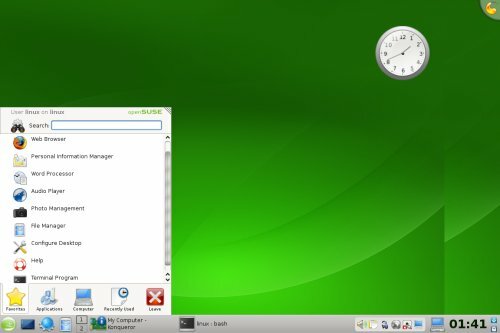 Training focused on openSUSE server function and administration, with an overview about openSUSE 11.0 features and capability. There are totals 20 audiences on first and second day, and 40 audiences on third day, came from sub dept of State Ministry for Youth Affairs and Sports and they will administer openSUSE server on their office. Most of the audiences are newbie for Linux but they have no problem with openSUSE administration. They looks a quite bit worried when we got an introduction about Command Line Interface, but after a few minutes, they’re enjoy the training. This is my first post in lizards.opensuse.org :-). Thanks to Beineri for activating this account. Indonesian openSUSE Community (openSUSE-ID) monthly meeting will be held on Saturday, May 24, 2008, 09.00-13.00 am (GMT+7) at Detik.com head office Jakarta. Detik.com currently is the biggest online newspaper in Indonesia. The monthly meeting called “Kopdar”, means “Kopi Darat” or offline/physical/face to face meeting. This monthly meeting will be discuss some issue regarding openSUSE 11.0 release party on June 2008, preview about openSUSE 11.0 features, openSUSE remastering and share knowledge about zypper package manager. Another topic is about our agenda on IGOS Summit 2 event. IGOS stand for Indonesia goes Open Source and IGOS Summit 2 is an event prepared by Ministry of Communication and Information Technology of Indonesia to encourage open source application usability in Indonesia. OpenSUSE-ID have a booth at the event. Well, it’s a small booth (2.75 m x 2.5 m with 1300 watt of electricity) but this booth is free of charge 😉 and we have a nice opportunity to promoting openSUSE. We choose Detik.com as our place for monthly meeting to reached more user and (maybe) to get a nice publication about our activity. a friend of mine worked for Detik.com and he helped me to arrange this event. Thanks Andry. 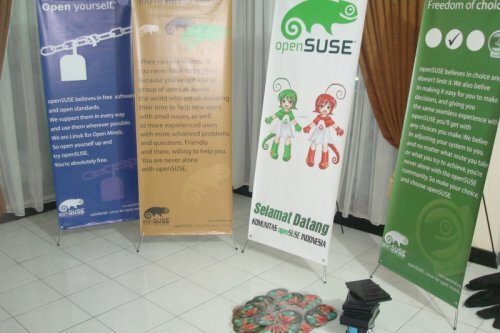 So, if you are an Indonesian openSUSE lover, why don’t you join with us on Detik.com. Let share together !